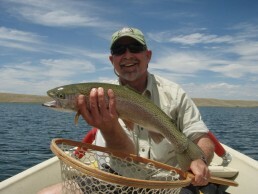 The Lake Float trip is perfect for any level of fly fisherman. The open space provides ample room for casting improvements, and the fish concentration usually provides a lot of opportunity for fish fighting practice! This is a great option to feel some tight lines during the mud season and also throughout the summer. All of our guides are Orvis endorsed, which means that they can take you from whatever level of fly fishing you are on – to the next level. 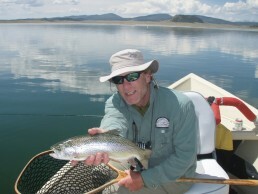 Every trip furnishes the waders, boots, rods and reels needed to fish. You will be outfitted with those items upon arrival at the shop. 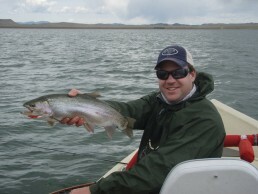 The incidentals are Colorado fly fishing license, flies, and gratuity for the guide. None of these need to be worried about prior to arrival as we will equip you with all of them when you arrive.